Mr. Yi is the managing partner of Lee Anav Chung White Kim Ruger & Richter LLP. Mr. Yi’s primary practice areas are commercial litigation, banking and financial services, real estate and intellectual property. Mr. Yi served as an assistant district attorney in the trial division of the New York County District Attorney’s Office (1988-92). 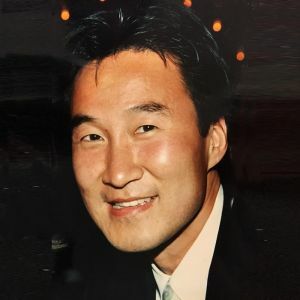 He was associated with Corbin Silverman & Sanseverino (1992-95), and was a member of Yi Tuan & Brunstein (1996-2003) and Yi Cho & Brunstein LLC (2004-06). Woojung Tech Co., Ltd. in the civil action Lilia Godinez et al. v. Woojung Tech Co., Ltd. et al., in the U.S. District Court for the Southern District of New York, 1:15-CV-02295-AJN. Ehwha Glotech Co., Ltd. and Carmenita Machinery, LLC in the civil action Joan Arache et al. v. Poong Kwang Maching Company, Ltd. et al., in the Superior Court of New Jersey, Middlesex County, Docket No. MID-L-4698-14. Walgreen Co. and Walgreen Eastern Co., Inc. in the civil action Gristede’s Operating Corp. et al. v. Scarsdale Shopping Center Associates, LLC, et al., in the Supreme Court of the State of New York, County of Westchester, Index No. 53040/2012. Duane Reade and Duane Reade Realty Inc. in the civil action Duane Reade and Duane Reade Realty Inc. v. El Mundo of Knickerbocker Inc. et al., in the Supreme Court of the State of New York, County of New York, Index No. E652351/2011. LG Electronics Inc. (Republic of Korea) in the civil action DK Acquisition Partners, L.P. v. LG Electronics Inc., in the Supreme Court of the State of New York, County of New York, Index No. 602386/04. Well Luck Co., Inc. in the civil action Well Luck Co., Inc. v. F.C. Gerlach & Co., Inc., in the U.S. District Court for the Eastern District of New York, 03 CV 2826 (DRH/MLO). Onse Telecom (Republic of Korea) in the civil action Oxyn Telecommunications, Inc. v. Onse Telecom et al., in the U.S. District Court for the Southern District of New York, 01 Civ. 1012 (JSM) (with co-counsel, Marc J. Gottridge, Esq. of Lovells, New York Office). Kyu-Byung Hwang in the ancillary proceeding, In Re Petition of Kyu-Byung Hwang, as Court-appointed Receiver of Onse Telecom in the United States Bankruptcy Court for the Southern District of New York, Case No. 03-17371(BRL) (with co-counsel Marc J. Gottridge, Esq. of Lovells, New York Office, and Korean counsel In-man Kim of Bae, Kim & Lee, Seoul, Korea). Kim Sports International, Inc. in the civil action MLB Advanced Media, L.P. v. Kim Sports International, Inc., in the U.S. District Court for the Southern District of New York, 05 Civ. 10285 (SAS). Electrical & Electronics Ltd. (Hong Kong) in the civil action Felix Zafarani et al. v. Salton, Inc. et al., in the Supreme Court of the State of New York, County of Kings, Index No. 37355/01. Commander Terminals, LLC and Commander Terminals Holdings, LLC in the civil action Commander Terminals, LLC and Commander Terminals Holdings, LLC v. Harold D. Shapiro and Commander Oil Corporation, in the Supreme Court of the State of New York, County of Nassau, Index No. 02-012037. H.I.S. International Tours (NY) Inc. in the civil action Sky Travel, Inc. v. H.I.S. International Tours (NY) Inc., in the Circuit Court of Cook County, Illinois, County Department, Law Division, Case No. 98L10326 (with co-counsel Elissa Rhee-Lee, Esq. of Sonnenschein, Nath & Rosenthal, Chicago office). Electrical & Electronics Ltd. (Hong Kong) in the civil action Dennis B. Newlon et al. v. Electrical & Electronics Ltd., in the U.S. District Court for the Eastern District of Missouri, Northern Division, Cause No. 2:01-CV-71 (CEJ) (with co-counsel, Monica J. Allen, Esq. of Haar & Woods, LLP, St. Louis, Missouri). Well Luck Co., Inc. in the civil action Amerasian Int’l (USA) Inc. v. Well Luck Co., Inc. v. Hang Heung Cake Shop Co., Ltd., in the U.S. District Court for the Eastern District of New York, Case No. 02 CV 4562 (CPS). Hyundai Telecom (USA), Inc. in the civil action Network Computing Architects, Inc. v. Hyundai Telecom (USA), Inc. v. Lucent Technologies Inc., in the United States District Court, Western District of Washington at Seattle, Case No. C99-2071C (with co-counsel Samuel S. Chung, Esq. of Short, Cressman & Burgess, Seattle, Washington). Hyundai Telecom (USA), Inc. in the civil action Hyundai Telecom (USA), Inc. v. Qwest Communications Corp., in the Supreme Court of the State of New York, County of New York, Index No. 604242/00.